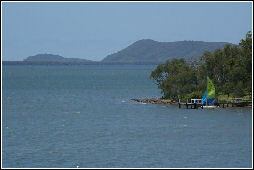 Coomba Park is a peaceful waterside village. Wallabies wander at dawn and dusk, pelicans soar overhead and sea eagles meander across the sky.... If your perfect holiday includes fast food for breakfast, lunch and tea, and 'partying on' till dawn at the nearest nightclub, or 'shopping until you drop', Coomba Park is not the place for you. 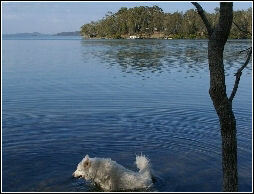 Coomba Park nestles on the side of Wallis Lake, opposite Forster in New South Wales. It is 22 kilometres to Coomba Park from Pacific Palms - and the road goes nowhere else. No through traffic belching fumes and noise, no unwelcome visitors just 'passing through', just the few residents - and tourists looking for Paradise. Look no further, paradise is here... . In Coomba village tranquillity is the name of the game. It is so quiet you really can hear the silence. The lakeside walk with unbelievable views of Wallis Lake, with benches to sit and amaze, and who knows, an occasional dolphin pod may swim past! there is good fishing in the lake, a 9 hole golf club a few kilometres down the road and tennis courts all within a few kilometres of the village centre. Boats and windsurfers can be hired from Pacific Palms Forster, sea plane trips go from Pacific Palms, and many other tourist attractions are within easy reach by car, including boat trips around Wallis lake, sea trips to look for dolphins, and in the right season, whales, from Forster - just 35 mins away by car..
and in the school holidays, the service is three times a week. All the advantages of a peaceful country lakeside, yet just 20 minutes away, is Bluey's Beach where you'll find some of New South Wales' best surfing and fishing beaches; the most excellent pizzas at the pizza bar, a fast food outlet for that extra quick meal , a most excellent coffee shop - and a delicatessen, a supermarket and newsagent for your lotto, a chemist, and real estate agent to tempt you to buy a property for yourself. At Pacific Palms here is lively social club on the lakeside, with a restaurant and often live entertainment of an evening. Ask here about the small plane for trips. There is a friendly garage and video shop, a wet fish shop (which also sell cooked fish (I think)and a couple of real estate agents. 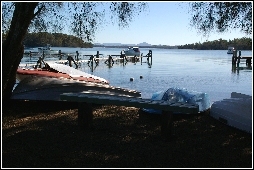 At Smith's Lake, also about a 20 minute drive from Coomba Park is the frothy coffee shop and boat hire. Coomba Park village boasts just one shop that provides newspapers, videos, wine & beer, a few videos for hire, basic foodstuffs, petrol. Your chosen daily paper can be ordered and orders are taken for food from Forster. The fishman's van is here on a Friday morning. The milkman calls Tuesday, Thursday and Saturday (you will hear the mooooo of his horn!) and he will deliver butter, bread, cheeses, bacon eggs and fruit juice. There is a small supermarket at Bluey's Beach. After that, it's Forster for large shopping expeditions. (Complex on entering the town, on Right Hand Side includes Woolworth (24 hrs), Coles, Kmart etc. There is a tennis court (white soled shoes are mandatory) and a nine hole golf course where I'm told you can play all day for a very small amount!. (Ask for details at the shop). Horse rides are available from local venues - ask at the shopYou will be welcomed at local activities which usually take place in the park by the jetty, such as bush dances, fetes, carols by candlelight and others - you will find details in the local shop. Non denominational church services also welcome visitors. Wallis Lake is 26 kilometres long, covering 26 hectares. It is safe for swimming, suitable for all water sports, and has hundreds of navigable areas to explore. Four rivers run into Wallis lake, the Wallamba, the Coolongolook, the Wang Wauk and the Wallingat. There are also several islands in the lake, several of which are nature reserves with picnic facilities - taking your lunch to an island is a delight. 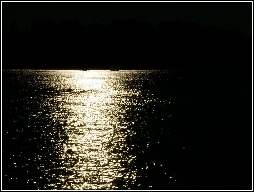 The lake edge is shallow, suitable for paddling, swimming, and launching small boats and windsurfers. We strongly recommend you wear suitable water shoes as the lakebed oysters have sharp shells. Dog's pads are hard enough for this not to trouble them, and they love to swim in the lake opposite the house. Coomba Park is about 3 hours drive from Sydney, 2 hours from Newcastle. Travel north on the Pacific Highway. Turn right just after Buladelah, onto Lakesway (clearly signposted). Drive along Lakesway past Myall Lake, through Bungwahl, past Smiths Lake and the Smiths Lake village and Sandbar turn-offs on the right. A further 1 km, Coomba Park is signed to the left. This is a scenic drive taking around 35 minutes. Drive 22km alongside Wallis Lake to Coomba Park . Bear right when the road divides. Bream Cottage is in the centre of the village opposite the boat ramp. The key opens all the patio doors. Arrangements will be made for key collection on receiving your booking and/or cheque. Coomba Park is not the place for you. * Visit the tallest tree in New South Wales, you will be amazed how awe inspiring it is! * Walk the nature trails. * Drive into the State forest along 4 wheel drive tracks, picnic by the side of the rivers. * The scenery is out of this world - million dollar views at every turn. * or simply sit and gaxe at the view while you relax.